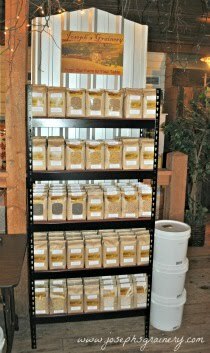 Joseph's Grainery: Whole Grain Bread Baking on the Go! Whole Grain Bread Baking on the Go! 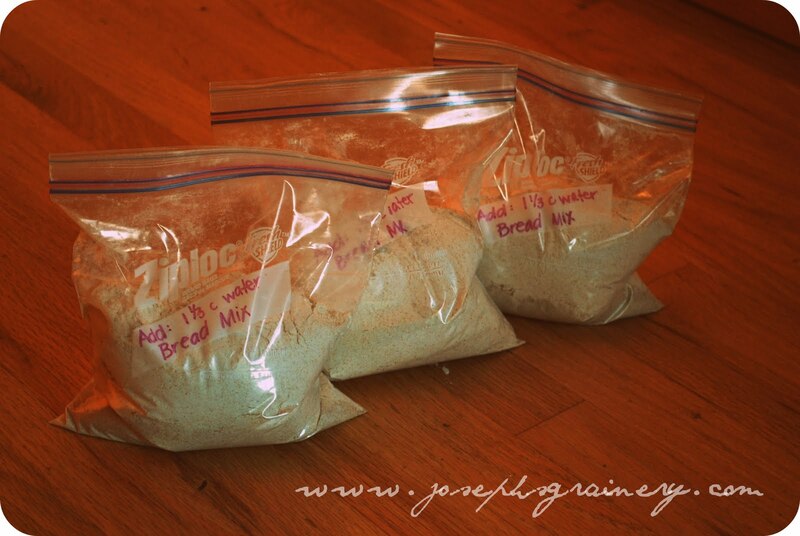 Have you ever bought a loaf of bread to take with you to a destination, only to have smushed when you get there? MaMa's come up with a solution! You know how I told you about her new obsession with the Lahey No-Knead Bread Making Method? Well, there are so few ingredients, that the last time we had plans to be gone for a few days and wanted to take some bread with us, she bagged up the flours, salt and yeast so she could make bread when we reached our destination. Genius, huh? Just add water, mix and let rise! It doesn't get much easier (or tastier) than this for bread on-the-go.